Arrive Guwahati by air. 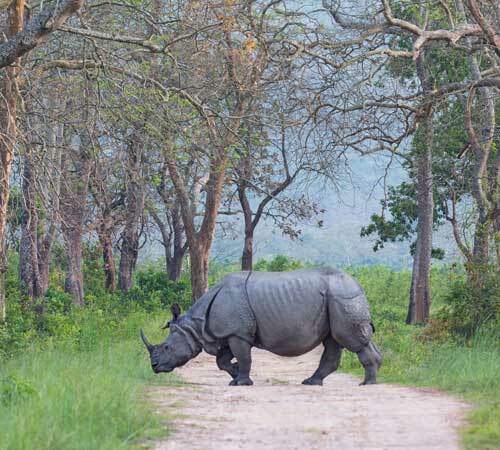 On arrival meet your driver at the airport and set off towards Kaziranga NP – an UNESCO World Heritage site and the home of the world famed One Horned Rhino’s. On arrival check into hotel for overnight stay. You will be met by our representative at the airport/railway station and begin drive to Gorumara. Arrive Guwahati by air. 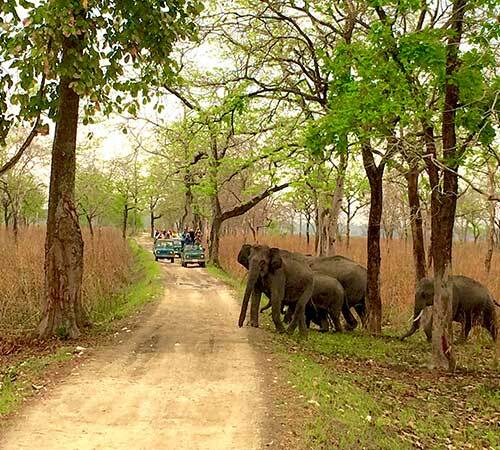 On your arrival meet your driver and then set off towards Nameri National Park. We shall pass through some of the most mesmerizing landscapes of Assam and green paddy fields. On arrival check in to Eco Camp - tents or thatched cottages all of which back into private bathrooms that have hot water geysers. Evening on your own. 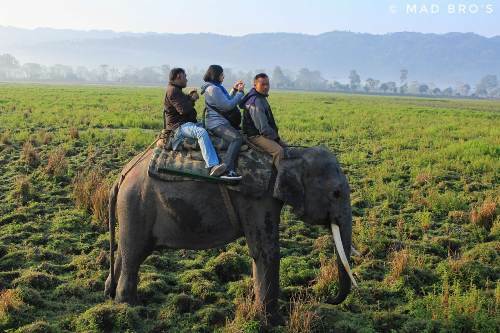 Nameri National Park – Gateway for nature lovers & a beautiful place located in the foothills of the Eastern Himalayas. Total area of the park is about 137 Km2. 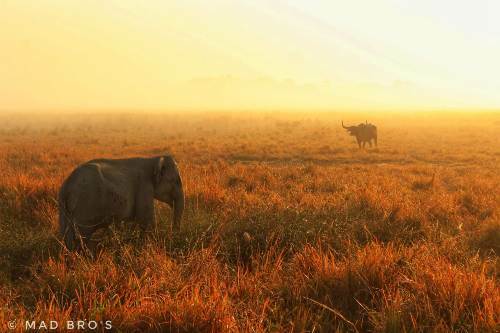 The habitat of Nameri is made up of tropical evergreen, Semi-evergreen, moist deciduous forests with cane and bamboo brakes and narrow strips of open grassland along rivers. Grassland comprise of less than 10% of the total area of the park while the semi-evergreen and moist deciduous species dominate the area. The JiaBhareli River flows along the park’s western and southern boundaries. On your arrival meet our representative and drive towards hotel. Check into room. Later we shall go for an hour cruise on the mighty Brahmaputra River. Note: River cruise is subjected to river conditions and availability. Drive from Kolkata to Gothkhali Jetty (approx. 115 kms/03 hrs.). 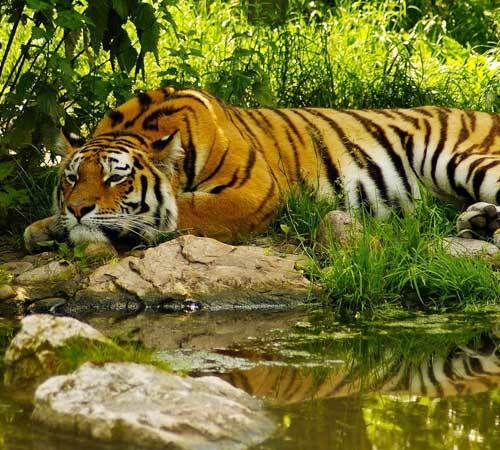 Your surface journey ends here and you board your exclusive boat for to cruise through rivers Gomor, Durgadhwani to enter river Pitchkhali on banks of where lies the Sunderban Tiger Camp. On your arrival you will be greeted by the Tiger Camp team and checked into your cottage followed by a hot lunch. In the afternoon you will experience the true Sunderbans, as you walk through the native village of Dayapur. You will encounter many wonderful sights as you learn about the lifestyle, local crafts, cuisines, and way of life of the local villagers. Observe their indigenous farming methods and how their houses are completely mud made with small entrances. Your tour will pass through the village market and eventually end at the resort for refreshments followed by a dinner to end another day in the reserve forest. One can also go to the watchtower at the resort after their return from the village to observe the birdlife within the resort (Sunderban Tiger Camp houses 64 species of birds to date). Evening watch Movie show on the Tigers. A warm dinner cooked with farm fresh vegetables and is served at the Fisherman’s Wharf dining hall which displays different tools used by the locals to catch fish. Overnight at Tiger Camp. In the afternoon you will experience the true Sunderban, as you walk through the native village of Dayapur. You will encounter many wonderful sights as you learn about the lifestyle, local crafts, cuisines, and way of life of the local villagers. Observe their indigenous farming methods and how their houses are completely mud made with small entrances. Your tour will pass through the village market and eventually end at the resort for refreshments followed by a dinner to end another day in the reserve forest. Your journey will start in the morning from your pick up point from Kolkata Hotel through beautiful countryside and rural bazaar with a brief stopover for tea and refreshments. Around midday you arrive at Gothkhali Jetty (Travel by land ends here), where you will be greeted by your local guide and provided refreshments onboard your cruiser. We cruise through rivers Gomor, Durgadhwani to enter river Pitchkhali on banks of which lies Sunderban Tiger Camp overlooking the Sunderban Tiger Reserve (Total Journey: 4 Hours [Road 2 Hours: Boat 2 Hours).